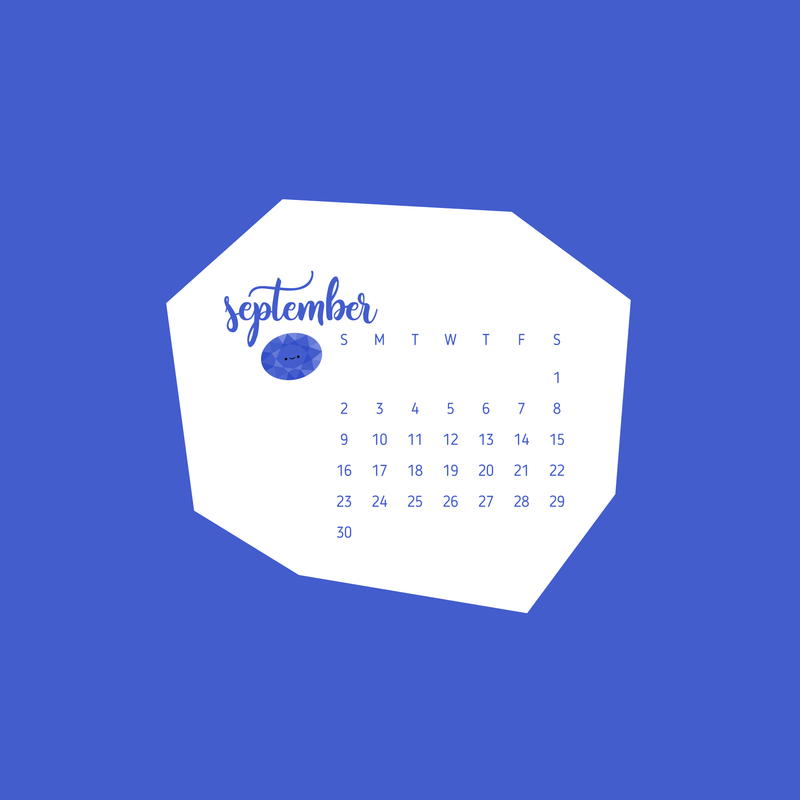 September already? 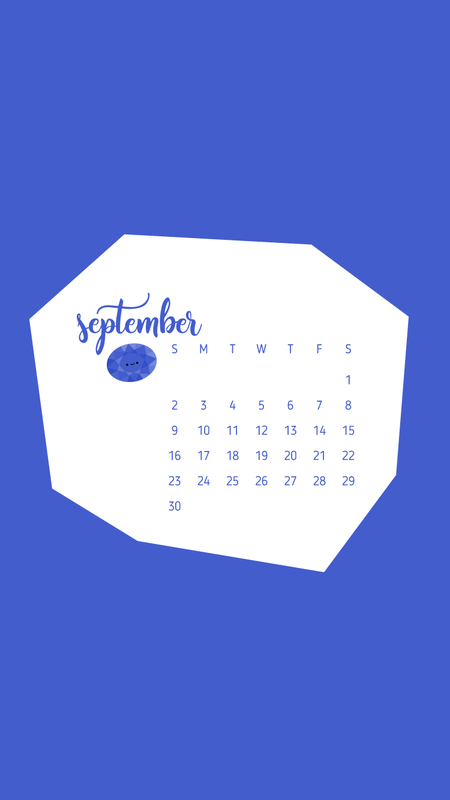 I guess that means it's time for a new set of birthstone wallpapers! 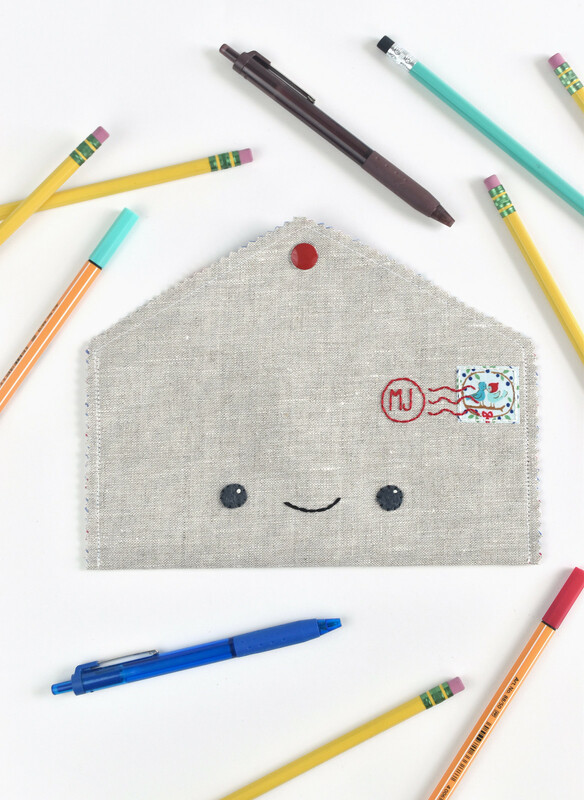 You might know how much I love kawaii cuteness, and it was so much fun to make some literal happy mail with this envelope style pencil case for Handmade Charlotte! 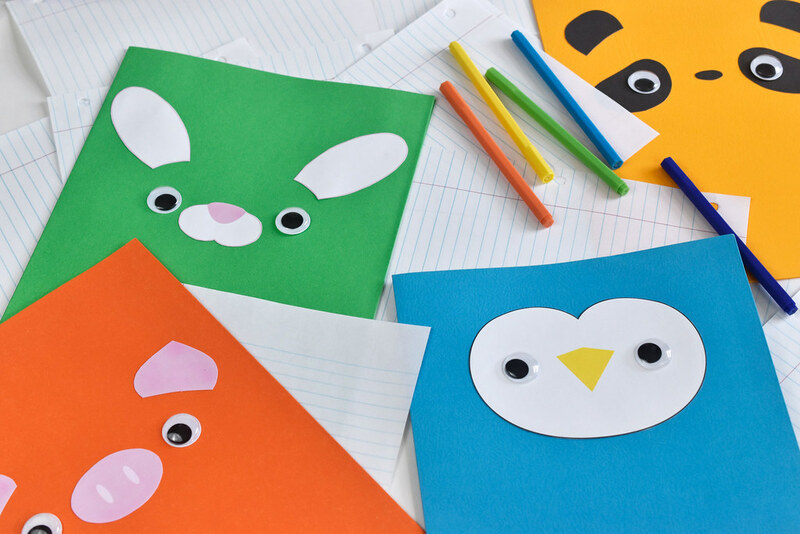 I also designed some printable faces that you can use to create some fun pocket folders that look like colorful animals! 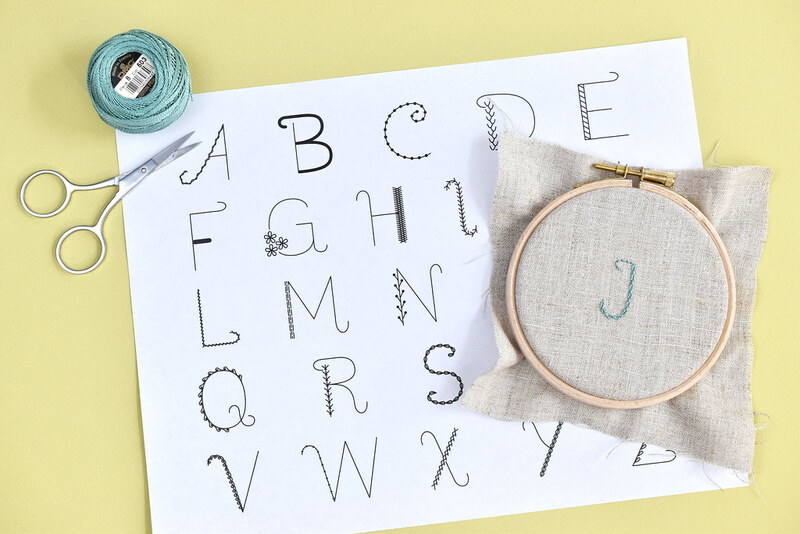 In the embroidery category, I shared this free alphabet embroidery sampler pattern. It's a great way to practice a bunch of stitches or even make a simple monogram. My biggest project of August was actually my biggest project of the entire summer. Because that's how long it took me! 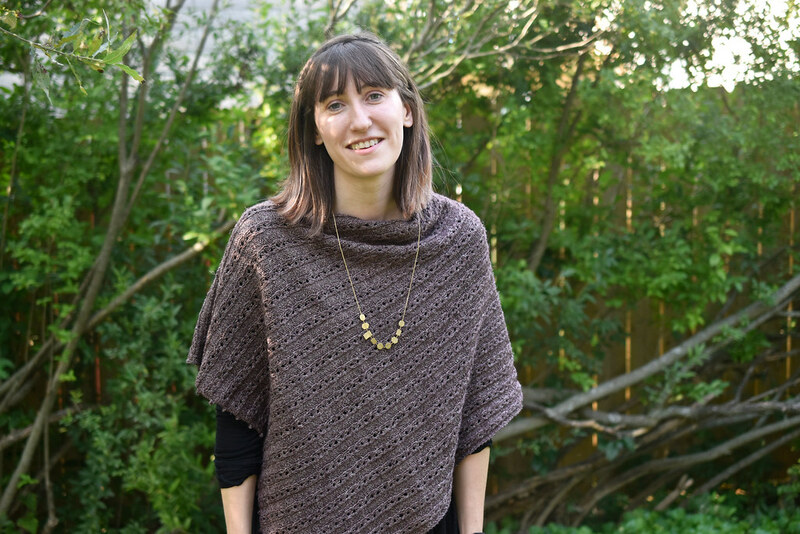 The Sylvia Poncho Wrap is my very first knitting pattern, and I'm so pleased with the results. I'll share more about the process in a whole separate post soon. 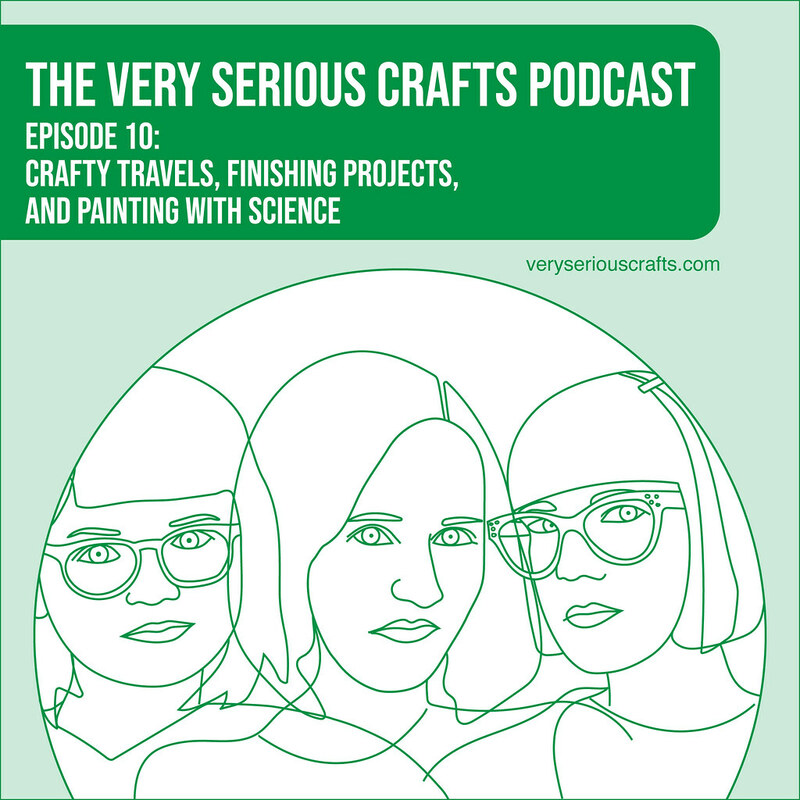 And lest I forget to mention it, new episodes of the Very Serious Crafts Podcast released this month too. Episode 10 felt like a milestone for us, and we hope you'll give it a listen! Now, how about a new set of wallpapers with an oval-cut sapphire? 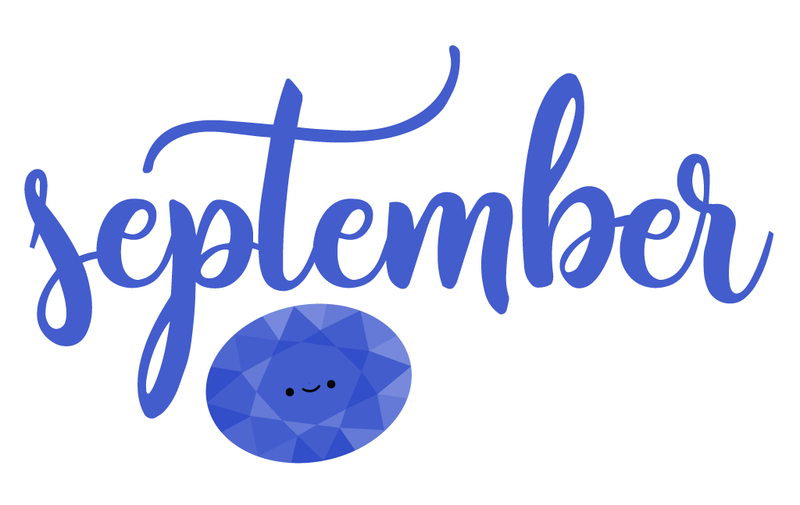 I debated on what shape to make this month's birthstone, but opted for something a little nostalgic. Although it's turned the other way, you might recognize this as the stone from Princess Diana's amazing engagement ring, which Kate Middleton now wears. How could I resist making it cute? 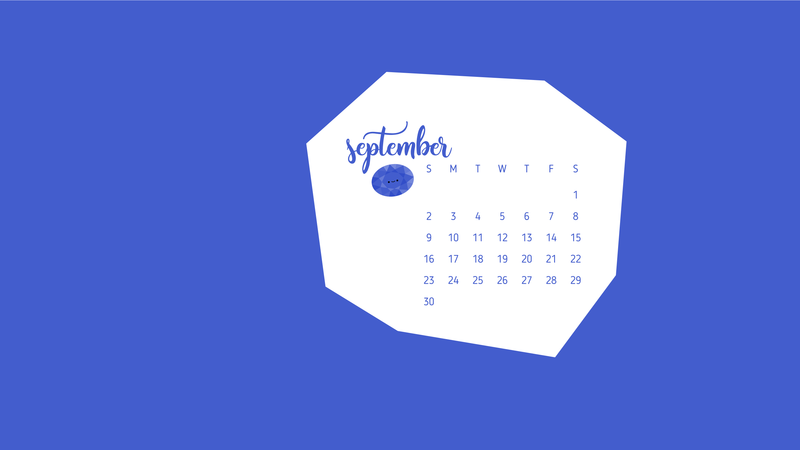 And how you can resist adding this new calendar to your phone, tablet or desktop? Not many people have commented recently so I thought that I would. I am appreciative of your blog and all the work you put into it. I have been reading since '08, I think, and have enjoyed every post. Thank you for all the time and heart you put into your part of the web. Congratulations on your knitting. From the photo it looks like a very nice shawl. Do you follow others on the web? I love Gingerbread Snowflakes and even though Pam doesn't post every often on her blog anymore, she does post on Instagram. She knits a lot and through her I have discovered Paper Dag. Ms. Dag knits even more and produces some of the most beautiful things. She also posts through Instagram. When you have the time check these ladies out. I read your bit on tinting embroideries and the results looked great! My problem is I want to gently tint (trying to create rosy cheeks) a pillowcase embroidery that will be washed repeatedly and the crayons just don't hold up. In experimenting it looks like lipstick might be a better long-lasting tint. Have you tried that or do you have other suggestions? I want something I can "fade".